For those who would like to see the elimination of facial blemishes, wrinkles and uneven skin pigmentation, chemical peels may be the answer. Dr. Ben Talei, a dual board certified facial plastic surgeon at the Beverly Hills Center for Plastic & Laser Surgery uses cutting edge science in chemical facial peels and other non-surgical & non-invasive treatments. Chemical facial peels can remove the damaged layers of skin through a chemical treatment that is applied to various areas of skin. Depending on the need, chemical peels of varying strengths can be applied to achieve the desired result. Use of chemical peels are a perfect, non-invasive way to eliminate damaged skin and reveal a brighter, rejuvenated complexion. This is without having to undergo traditional plastic surgery and all that comes with it. Chemical peels are often used in conjunction with dermabrasion, resulting in softer, restored skin that looks and feels great. Dr. Talei has extensive experience and training in surgical and non-surgical plastic surgery procedures. 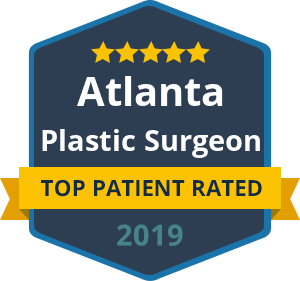 He has dual fellowship training in facial cosmetic and reconstructive surgery and vascular birthmarks and congenital anomalies with laser surgery. You can trust that his knowledge and expertise will give you the natural, refreshed results you want. If you have moderate sun spots, wrinkles or irregularities, contact our chemical facial peels experts at the Beverly Hills Center for Plastic & Laser Surgery to schedule a consultation with Dr. Talei. During the consultation process, you will learn more about the benefits of chemical peels and if you are in fact a candidate for this procedure. What’s more, Dr. Talei can tailor the chemical peels’ strength in order to accomplish the needs of the patient.